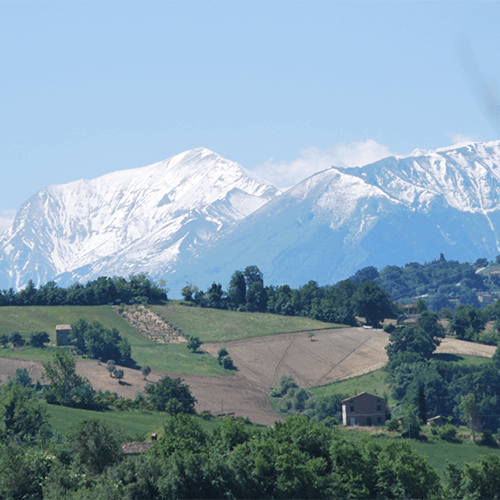 Overlapping the border between Le Marche and Umbria, the Parco Nazionale Monti Sibillini (established 1993) encompasses a mountain chain rising in the heart of Italy, with its highest peak, Mt Vettore, reaching 2476 metres. Glorious views abound throughout the entire area; it truly is a nature lover’s paradise. The aim of the park was “to safeguard the environment, promote a social and economically sustainable development, and favour the creation of a park suitable to everyone”.